Victor Michael are a professional managing agent; our property management department provides sound technical advice and administrative support service regarding any residential lettings issues that arise regarding your property on a day to day basis 365 days a year. We offer residential lettings management service which offers a partial letting service right up to a full comprehensive property management service, all options of service can be tailored on a bespoke basis, specific terms may apply. Obtain/Arrange an Electrical (ESI) & Gas (GSI) certificates, Portable Appliance (PAT) and EPC*. We recognised the importance of establishing a central property management department that will deal with all aspects of the lettings process from start to finish. 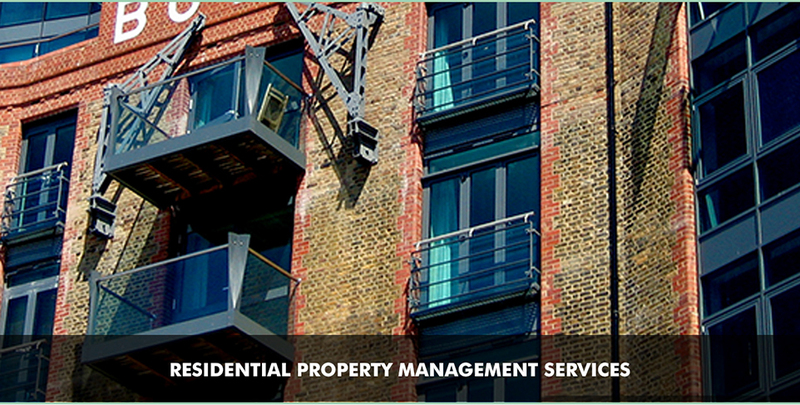 Our property management department is located at the head office in Stratford London. We use expert third party referencing companies to provide tenant references, these include financial and personal details, employment and previous accommodation references. The companies we use are Homelet & Let Risks. We require the last three years report & Accounts and an Accountants reference for Company Lets. We use a computerised property management software system called 'Gemini ' which is recognised within our industry as a leading software system to monitor and control all of our tenants, landlords and contractors accounts. Our accounts department control and monitor each tenants individual property accounts, to ensure payments are collected by standing order, online banking, debit and credit cards and any cash payments. All accounts are monitored closely to avoid any rental arrears. Landlord monthly accounts statements are sent electronically by email or by post. Our maintenance contractors are closely vetted to ensure the quality of workmanship is of a professional standard and they are both reliable and trustworthy. Victor Michael insists that all contractors hold public liability insurance for your protection and peace of mind, which we hold onfile. All our gas and electrical engineers are members of the accreditation schemes, Gas Safe and NICEIC which are periodically checked by us. We use a third party inventory clerk company who are members of AIIC ( Association of Independent Inventory Clerks ) they produce comprehensive and professional inventory reports with schedule of condition statements and professional photographs which are time and date stamped. Our Inventory clerks also undertake management inspections of properties, to ensure the property is being kept in good order and the tenants are abiding by the tenancy agreement. We recommend that Landlords consider purchasing Rent Guarantee Insurance which protects you against tenants defaulting on there rental payments and also provides legal costs to legally evict the tenants . The policy will only be offered if the tenants passes the reference application process. Full Terms and conditions apply. We prepare and issue section 21s and section 8s in accordance with the Housing Act 1988 and also serve notice to quite notices in accordance with the Protection of eviction act 1977. At the end of a tenancy we arrange for our clerk to attend the property and meet the tenant, they compare items with the original inventory and management inspection reports, We will at this point discuss with you if any dilapidations are to be deducted from the security deposit, please note general wear and tear should always be considered and accounted for. To Maintain and repair the property ( Section 11 Landlord & Tenant Act 1985 ). To give their address ( Sections 1 and 2 Landlord & Tenant Act 1985, Sections 47 & 48 Landlord and Tenant Act 1987 ). To give the tenant the required notice when seeking procession( Housing Act 1988 (as amended) and Protection from Eviction Act 1977. To ensure that the gas and electrical appliances and supply are safe ( Gas Safety ( Installation and Use) Regulations 1998 and Electrical Equipment ( Safety) Regulations 1994 ). A Client Money Protection (CMP) Scheme is a compensation scheme providing compensation to Landlords/Tenants and/or other if an agent was to misappropriate their rent/deposit or other client monies. As regulated members of Propertymark, we are also members of their CMP Scheme; you will be aware of this from their logo at the bottom of our webpage. We register the Deposit when the tenancy first starts with the Tenancy Deposit Scheme ( TDS ) and produce a certificate for the tenant within a maximum of 30 days from the start of the tenancy. After the check out inspection has taken place at the end of the tenancy and the check out report is filed with Victor Michael, we will then evaluate if there are any damages or rent arrears to be deducted from the Security deposit taking into account any ' General Wear and Tear ' issues to your property.